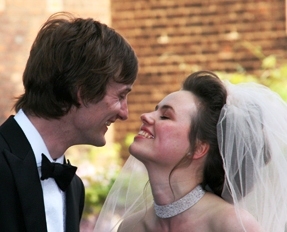 As a Craftsman of the Guild of Wedding Photographers Majken has photographed many weddings. Today she photographs weddings portraits only. This page provides background on Majken Kruse's wedding experience. Award winner, creative wedding photographer, Majken Kruse's practiced is in London, Surrey and the Home Counties. 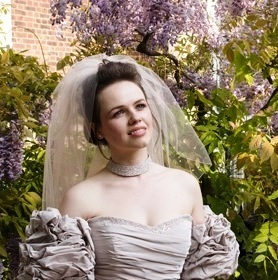 Majken's aim is to provide a beautiful long term record of your wedding day tailoring her cover to your requirements. Majken brings her depth of experience as a wedding photographer to her work as a tutor of wedding photography. Today she only accepts wedding assignments, other than wedding portraits, by special arrangement. Wedding photographs and galleries includes galleries on Brides and couples - wedding and engagement portraits. This article draws on David Tebbs' wide experience in commissioning photography and working with wedding photographers - including Majken Kruse. Every bridal couple has high hopes for the success of their wedding day and the memories and photographic record that they and their family will treasure for years after. Practical success relies on good photography, careful planning, some difficult decisions and management on the day. In this article David Tebbs looks at the requirements for effective wedding photography, competing pressures and some practical guidelines. I have collated the suggestions below from experience at the several weddings that I have attended as parent or groom, others as a guest, photography sessions I have commissioned and also my work with wedding photographers. While selecting the right photographer is important, in this article I am looking at the activities that take place after you have booked your photographer and set the broad cover. Photographers carry the main responsibility for the quality of their work, but they are not immune from barriers created by others. In this article I focus on those aspects of the photography where the couple can make a major contribution to the process of gaining the photographs they want. The best wedding photographs are a mix of creative planned shots and catching picture opportunities that arise. The latter can be left to the photographer, but the former need the attention of the couple both in the planning and during the photography. Both familiar compositions and the lovely and apparently casual pictures are often best delivered through careful preparation and execution. Few bridal couples are professional models and it takes time to relax and take direction from your photographer to gain the best results. In seeking to achieve your photographic objectives you face some of your potentially worst adversaries in many forms: weather, time, hairdressers, the caterers/organisers and your guests (sometimes including parents). 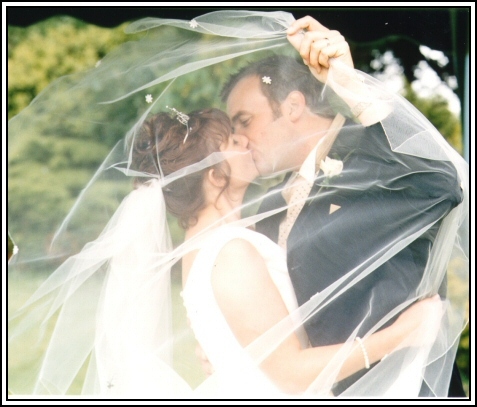 The ideal wedding photographs take time yet naturally most couples need to set limits on the overall programme. On the day you may need to deal with delays from earlier activities and come under pressure from others to move on. Experience from all perspectives of many weddings tells me that many aspects of the day take longer than most couples expect. There are many reasons and many brides start running late from the morning visit with their hairdresser/make up artist who appear perennial optimists when estimating how long they will take. Starting with the hair dresser that little bit earlier will remove some pressures in the run up to the service. With most weddings there are unexpected delays at some stage – after all it’s an important and fun day not a regimented programme. The danger is then that time planned for photography becomes a natural buffer in the programme to others and gets compressed by starting late and pressures from others wishing to move on to later events e.g., the caterer is pushing to move on to drinks or a meal on the original timetable, or parents and guests may want to start the refreshments. Discuss these issues with the photographer well before the wedding. This is needed both when selecting your photographer and again in more detail after you have booked the photographer and detail plans are progressing - but before the arrangements for the day are frozen. After the booking, a later visit or call to the photographer, to discuss the more detailed options also helps you get to know each other better, which helps you relax more for the more formal photography on the day. You need follow up discussions shortly before the wedding day when all other plans are in place. If you plan photographs of the bride and separately of the groom before the service, then please start your preparations in plenty of time – allow for the hairdresser/make up to take longer than expected - they nearly always do. The proverbial late bride is a reflection of under estimates of how long it takes to prepare. The cost to you can be feeling rushed and the loss of photograph opportunities that you planned. Today many brides take the lead in arranging the day. Regrettably minor problems (say missing button holes for the groom and ushers) arise as the bride is getting ready. Ideally you need some one delegated to take the last minute panic calls and deal with such matters without bothering you. You need to concentrate on getting ready, the photography and enjoying your day. In planning the photography you will be looking for times when the photography is part of the flow of the day and for opportunities for some of the bridal party photographs to be taken without the guests around. Here the choice is very personal to the couple. There may be a gap in the proceedings, or while the guests are having their first drinks. Not all weddings have perfect photographic settings available at the ceremony or the reception. It can be sad missing a lovely spot near the church or reaching the right location as daylight fades. With a little planning, gaps between segments of the day may also be used to visit a better location for portraits of the bride and groom even if only a few yards from the guests. A few brides consider portraits (in bridal dress) after the wedding day, using a lovely location and enjoying the photography without rush or distracting guests. Please don't forget that that striking reception room may not be ideal as a photographic location. Photography sessions need more time than that planned for the photography itself, to allow for all those concerned to gather at the right spot and later to move on to the next stage in the programme. Moving both family and guests always takes longer than expected, whether it is clearing a room or moving from a reception room to the photographic location. I recall at one wedding, with challenging weather, where the bride particularly wanted to be photographed in the garden. Over half an hour was lost, just getting those concerned to gather in the garden and then return indoors between showers. As the programme was already running 10-15 minutes late due to the impact of rain as the bride reached the church, that slot for photography (and hence the range of photographs) was mainly lost. Where a selection of more formal or carefully prepared photographs are to be taken with guests/family present, arrange for an usher or best man to help with “crowd control” avoiding time wasting distractions and clashing flashes. A location near but separated from the guests is best. A good photographer will be experienced in handling the problem, but do you want the photographer worrying about and dealing with intruding guests or concentrating fully on your photographs? Remember the usher will not naturally know what to do so brief him well and get him to discuss how he can help with the photographer. For planned group photographs, ushers, best man or a suitable relation who is likely to know the participants needs to be briefed on the plans and asked to seek those needed when the time arises. Getting the people you want together in the right place for each group can waste a lot of time if not pre organised. A list of planned participants is helpful but in itself it does not get them to the right place at the right time, especially if the reception is across several rooms or a large garden. Talk to the caterers and select a menu that allows best flexibility on when you start to eat – in case delays occur. Do you want you and the photographer distracted by hassle from a caterer because the day was already running half an hour late? Similarly make sure that all concerned with helping manage the day, understand these issues and your priorities, as well as the plan. This should include parents, whether hosting or “helping”, an MC, and or others delegated to progress the day for you, as well as those serving you such as the photographer, caterer etc. I recall one occasion where the bride had specifically asked for half an hour of photography with her and the groom and close family immediately before moving into the dining room. The MC interrupted and interrupted and asked those concerned to move on only a quarter of an hour into the session which had started on time. Why? - In his experience it took that long to get guests into a room - so in effect he and the bride were working on different schedules. As a “helping” parent at my daughter’s wedding I was guilty, at one point, of pressing the programme forward on the day, unknowingly against her wishes for more time on the photography. We have discussed some of the issues that can arise. Most will not occur on your wedding day but my advice is prevention by being prepared. Within that the common themes are planning, allowing for unplanned delays and getting well briefed assistance from ushers etc. All help you get what you are seeking from your wedding day, while enjoying yourself. My best wishes for a successful and enjoyable wedding with a brilliant photographic record. Like much in life, investment of your time in advance can enhance your photographic record of the day.